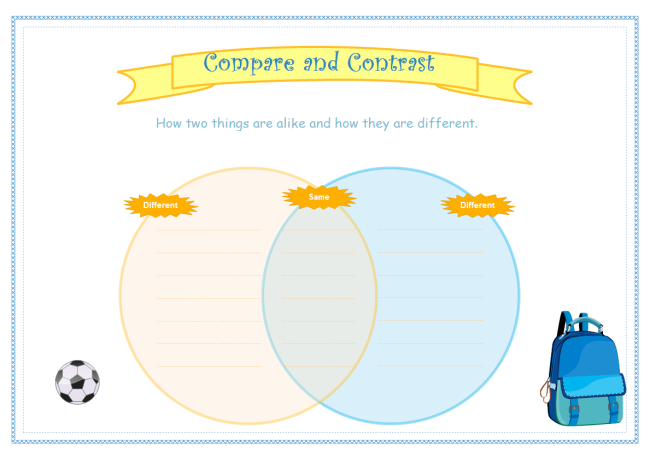 Free download printable Venn diagram graphic organizers for making worksheets or teaching materials. Venn diagram is one of the most popular graphic organizers used as a way to picture relationships between different groups of things. It's applicable for many subjects such as math, reading comprehension, writing and science. Venn diagram graphic organizer is composed with two or three overlapping circles. There are many Venn diagram printables on the web. Here we provide you with featured and stylish Venn diagram templates which you can not only use as worksheets, but also as presentation materials. Anyone, no matter you have installed Edraw or not, could download and use these resources. For Edraw users, you can download the EDDX files which are vector-based and could be edited. The font, text, color are all customizable. Through some minor modifications, you can make the templates better fit your purpose. The templates could be exported to up to 17 formats including word, ppt, pdf, png, and more. For non-Edraw users, you are allowed to download the PDF files. 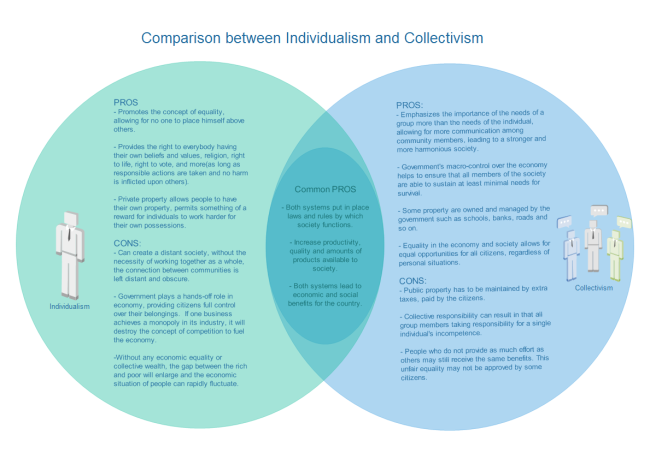 Venn diagram is one of the best graphic organizer for comparing and contrasting two items. Save this quality material for future use in your classroom. For teachers there are always endless worksheets to prepare. Even though lots of ready-made worksheet materials are available on the internet, still, you can't find everything you need. 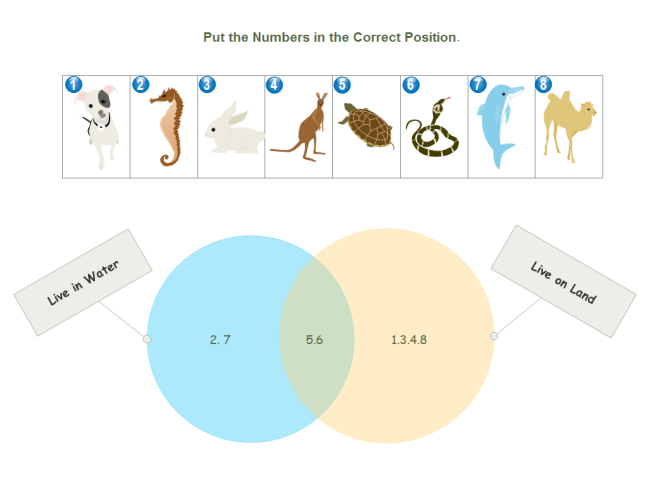 This editable math worksheet on venn diagram will help students practice their math skills. It's available in both PDF and EDDX formats. When you are teaching students on how to categorize animals to certain groups, this Venn diagram worksheet might be helpful. As a tool used when sort, compare, and contrast items, you will find Venn diagram very practical to use in science subject. As you see, the clip arts are already existed in Edraw, that means you can spend less time to make such useful teaching materials. This one is not a blank template, but it shows the result Edraw could achieve in making fantastic venn diagrams.